This month's Asian Food Fest challenge was a great one! Shakshuka is a dish of eggs poached in a sauce of tomatoes, chili peppers, onions, often spiced with cumin. In Israel Shakshuka is often eaten for breakfast, but as for me it seems to go perfect for all time! Its super easy and scrumptious. A dish that enjoyed by all. When I was small my mum would loved to make this on Sunday for breakfast and it will be gone in a minutes! I seriously didn't know it was an Israeli dish at all and plus didn't even know it was called Shakshuka until I saw on food channel when I was browsing for recipes. Heat a deep, large skillet or sauté pan on medium. Slowly warm olive oil in the pan. Add chopped onion, sauté for a few minutes until the onion begins to soften. Add garlic and continue to sauté till mixture is fragrant. Add the bell pepper, sauté for 5-7 minutes over medium until softened. Add tomatoes and tomato paste to pan, stir till blended. Add spices and sugar, stir well, and allow mixture to simmer over medium heat for 5-7 minutes till it starts to reduce. At this point, you can taste the mixture and spice it according to your preferences. Add salt and pepper to taste, more sugar for a sweeter sauce, or more cayenne pepper for a spicier shakshuka. 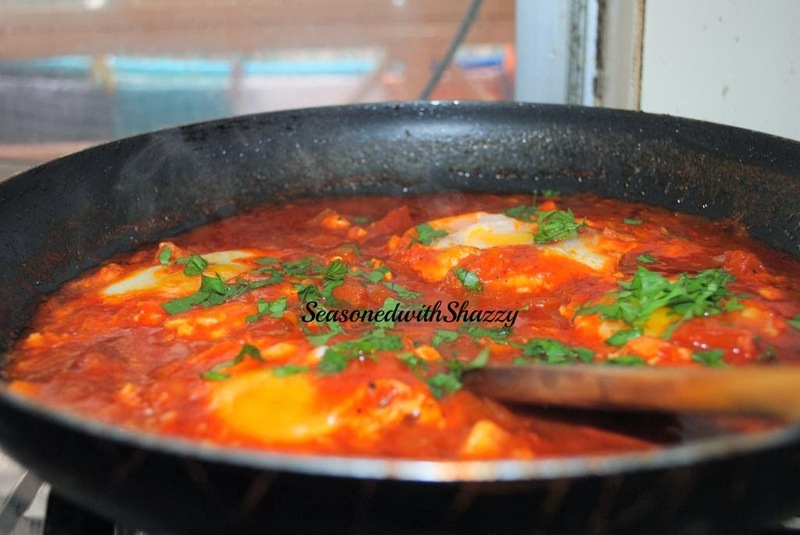 Crack the eggs, one at a time, directly over the tomato mixture, making sure to space them evenly over the sauce. Cover the pan. 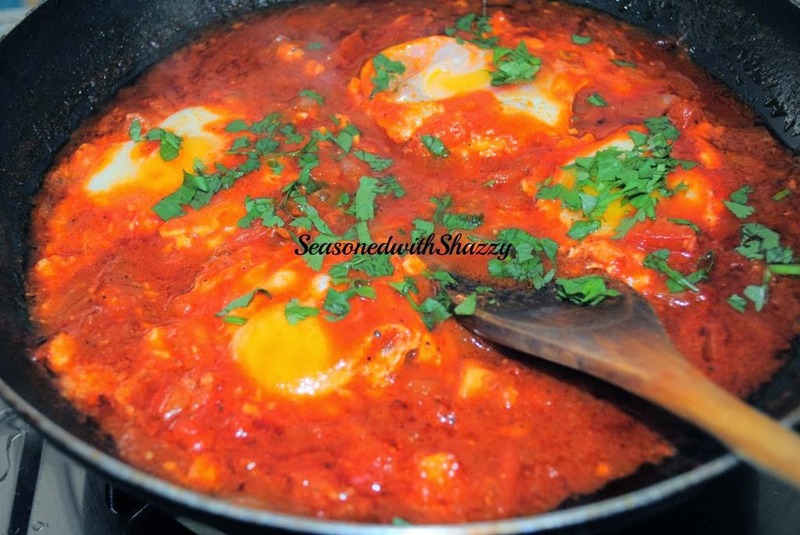 Allow mixture to simmer for 10-15 minutes, or until the eggs are cooked and the sauce has slightly reduced. Keep an eye on the skillet to make sure that the sauce doesn't reduce too much, which can lead to burning. 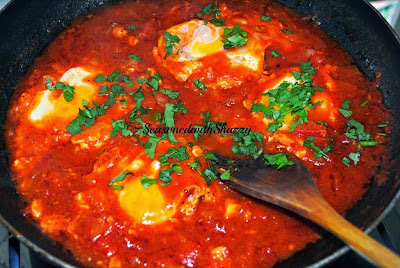 Your shakshuka looks yummy, you are right, it's so good for anytime of the day, but i usually have it for brunch. Hey Shannon, thanks for dropping by. its just superb right..